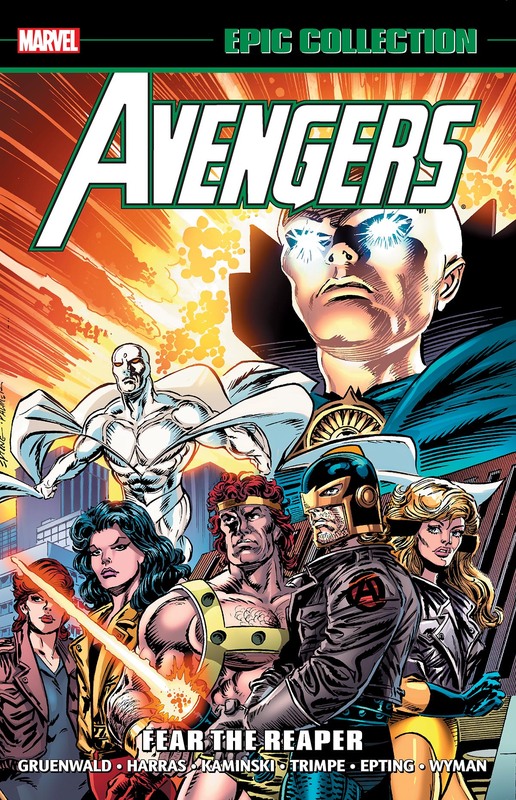 Collects Avengers (1963) #348-359 and Annual #21 and material from Captain America Annual #11, Thor Annual#17 and Fantastic Four Annual #25. When come the Gatherers! First, the machinations of Hera and Ares pit Hercules against Thor! A visit from the Starjammers and the X-Men proves painful for the Black Knight — and so do his feelings for Crystal and Sersi! 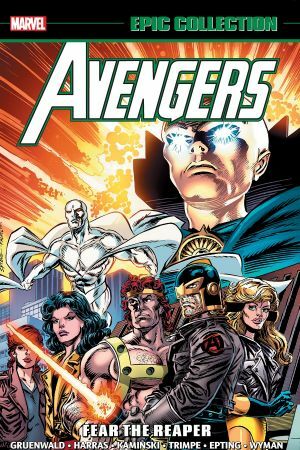 And the demonic return of a classic villain teaches the Avengers to fear the Grim Reaper — not to mention his shambling Legion of the Unliving! Then, the Gatherers — Proctor, Magdalene and the Swordsman, plus Sloth and Cassandra — attack at last! But what is the secret behind their dastardly plan — and why is their next target the Black Panther? 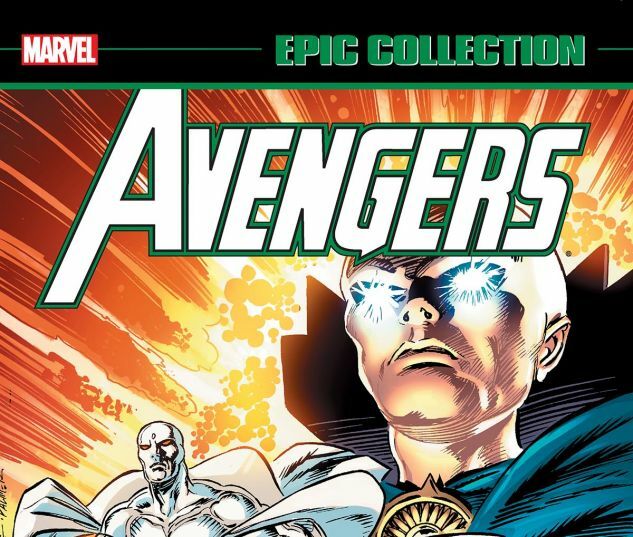 Plus: The Avengers aid Arkon! And Captain America, Thor and the Fantastic Four are drawn into the time-travel saga of Citizen Kang!